On Monday, the California Supreme Court held that the California “Legislature’s 2009 enactment of the revisions to the 2008 Budget Act operated to ratify the use of the two-day-a-month furlough program as a permissible means of achieving the reduction of state employee compensation mandated by the act.” Professional Engineers in California Government v. Schwarzenegger, No. S183411, — Cal.Rptr.3d —-, 2010 WL 3835132, *2 (Cal. Oct. 4, 2010). Accordingly, the Court concluded that the “2009 budget legislation validated the Governor’s furlough program here at issue, and rejected plaintiffs’ challenge to that program. Id. 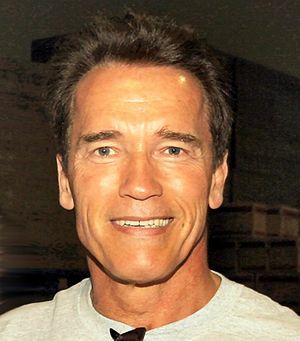 On December 1, 2008 Governor Arnold Schwarzenegger declared a fiscal emergency, called the Legislature into special session, and submitted to the Legislature a comprehensive plan to address the budget problem. Id. *1. The Governor’s budget plan included, among many other cost-saving features, two proposed statutory provisions that would impose a mandatory one-day-a-month unpaid furlough of most state employees employed by the executive branch. Id. The Legislature later passed its own proposed comprehensive budget legislation, but the Legislature’s alternative plan did not include the Governor’s recommended furlough provision. Id. The Governor thereafter issued an executive order instructing the Department of Personnel Administration to implement a mandatory two-day-a-month unpaid furlough of most state workers employed in the executive branch. Id. A number of employee organizations filed three separate, but similar, lawsuits, contending that the Governor lacked authority to implement unilaterally an involuntary furlough of represented state employees that reduced such employees’ hours and earnings by approximately 10 percent. Id. The trial court rejected the broad attacks made by the employee organizations on the executive order and concluded that the Governor possessed the authority to impose the furlough in response to the fiscal emergency facing the state. Id. The plaintiff employee organizations appealed, and the California Supreme Court exercised its authority pursuant to article VI, section 12, subdivision (a) of the California Constitution to transfer the consolidated matter to it for oral argument and decision. Id. The Court reasoned that “under existing constitutional provisions and statutes, the Governor on December 19, 2008, possessed authority to institute a mandatory furlough of represented state employees, reducing the earnings of such employees, only if specifically granted such unilateral authority in an applicable memorandum of understanding entered into between the state and the employee organization representing the affected employees.” Id. *2. Although there is considerable doubt whether the applicable memoranda of understanding granted the Governor such authority, we further conclude that even if the Governor lacked authority to institute the challenged furlough plan unilaterally, plaintiffs’ challenge to the furlough plan now before us must be rejected. In mid-February 2009–shortly after the furlough program went into effect–the Legislature enacted, and the Governor signed, legislation that revised the Budget Act of 2008 (2008 Budget Act) by, among other means, reducing the appropriations for employee compensation contained in the original 2008 Budget Act by an amount that reflected the savings the Governor sought to obtain through the two-day-a-month furlough program. The February 2009 legislation further provided that the specified reduction in the appropriations for employee compensation could be achieved either through the collective bargaining process or through “existing administration authority.” That phrase, in the context in which the revised budget act was adopted and in light of the provision’s legislative history, reasonably included the furlough program that was then in existence and that had been authorized by the current gubernatorial administration. In particular, the bill analyses considered by the Legislature made specific reference to furlough-related reductions of employee compensation costs. Under these circumstances, we conclude that the Legislature’s 2009 enactment of the revisions to the 2008 Budget Act operated to ratify the use of the two-day-a-month furlough program as a permissible means of achieving the reduction of state employee compensation mandated by the act. Accordingly, we conclude that the 2009 budget legislation validated the Governor’s furlough program here at issue, and reject plaintiffs’ challenge to that program. Chief Justice Ronald M. George wrote the opinion for the Court. Associate Justices Carlos R. Moreno, Kathryn Mickle Werdegar, Ming W. Chin, and Marvin R. Baxter concurred. Associate Justice Carol A. Corrigan wrote a concurring opinion. Appeal from an order of Judge Patrick Marlette of the Superior Court, Sacramento County. Law Offices of Brooks Ellison and Patrick J. Whalen for Plaintiffs and Appellants, California Attorneys, Administrative Law Judges and Hearing Officers in State Employment. Paul Harris and Anne M. Giese, for Plaintiff and Appellant, Service Employees International Union Local 1000. Gerald A. James; Altshuler Berzon, Stephen P. Berzon and Danielle Leonard, for Plaintiffs and Appellants Professional Engineers in California Government and California Association of Professional Scientists. Reed Smith, Harvey L. Leiderman and Jeffrey R. Rieger, for Teachers’ Retirement Board of the California State Teachers’ Retirement System as Amicus Curiae on behalf of Plaintiffs and Appellants. Kelly Vent as Amicus Curiae, on behalf, of Plaintiffs and Appellants. Richard J. Chivaro, Ronald V. Placet, Shawn D. Silva, Ana Maria Garza; Remcho, Johansen & Purcell, Robin B. Johansen and Margaret R. Prinzing, for Defendant and Appellant. K. William Curtis, Warren C. Stracener, Linda A. Mayhew, Will M. Yamada; Kronick, Moskovitz, Tiedemann & Girard, David W. Tyra, Kristianne T. Seargeant and Meredith H. Packer, for Defendants and Respondents. Edmund G. Brown, Jr., Attorney General, Gordon B. Burns, Deputy State Solicitor General, Jonathan K. Renner, Assistant Attorney General, James M. Humes Stephen P. Acquisto and Mark R. Beckington, Deputy Attorneys General, for California Constitutional Officers as Amicus Curiae.